The German government donated $27,206,000 (20 million Euro) this week to a tiger conservation campaign run by the International Union for Conservation of Nature. 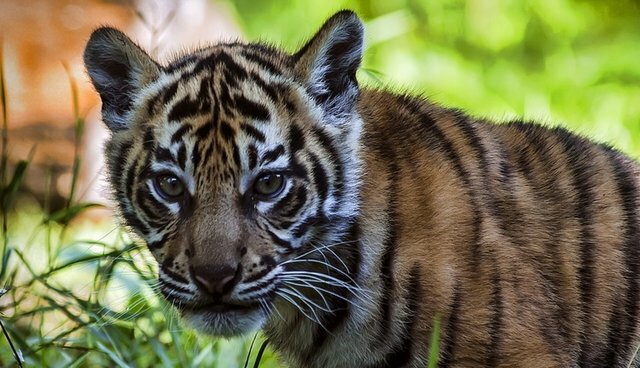 The five-year program, called the Tiger Habitat Conservation Programme, will benefit NGOs in several countries including Bangladesh, Bhutan, Cambodia, India and Indonesia that are home to tigers -- one of the most endangered species in the world. "This generous support from Germany provides great hope for this iconic species, which is currently on the brink of extinction," said Julia Marton-Lefèvre, IUCN Director General in a release. Saving the tiger depends on restoring its rapidly shrinking forest habitat. This will regenerate valuable ecosystem services and improve the lives of some of the most marginalised people on our planet." According to the IUCN, there are probably less than 2,500 adult individuals currently surviving in the wild, down from 100,000 just a century ago.